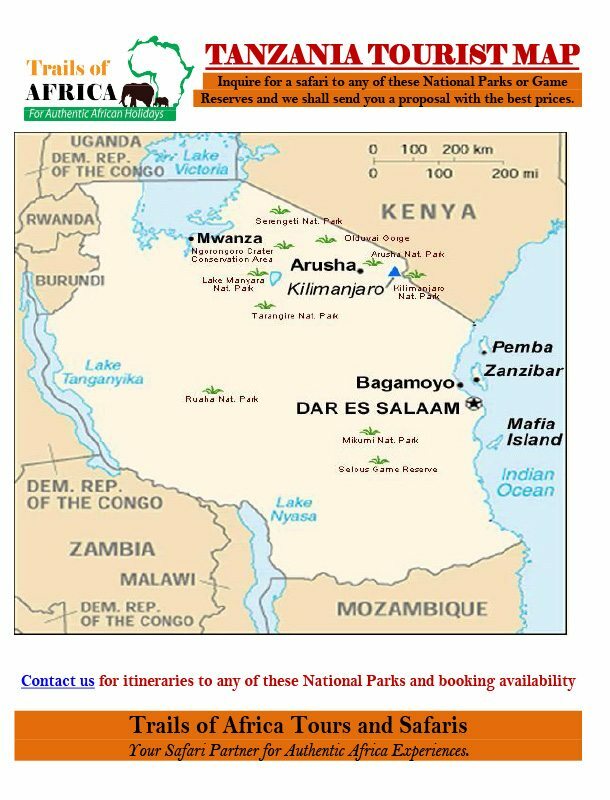 Depart from Dar es Salaam city centre by 4×4 safari vehicle to the Selous Game Reserve. Enjoy a late lunch at the Rufiji River Camp. Embark on an afternoon game drive in the reserve, and then return to your Camp for dinner and overnight. Enjoy a full day game viewing in the reserve. Participate in some classic – style game drives – exploring the bush in 4 x 4 vehicles. Waterbuck, southern reed buck and bushbuck are common in the Selous. Rare sable antelope, lion and greater kudu also frequent this area. Meals and overnight at your Camp. After breakfast, accompany an armed ranger on a waking safari in the reserve. The sights and sounds (and smells) of a walking safari are a special treat that will live long in your memory. The thrill of creeping up to animals to “shoot” them with your camera is a great experience. In the afternoon, enjoy a boat safari where you will explore the different channels and lakes of the Rufiji River System, surrounded by hippos and crocodiles. A large variety of herons, storks, ducks, stilts, and other water birds may be seen. And you also see land mammals, such as giraffe and elephants. Meals and overnight at your Camp. Enjoy a morning game drive in the Selous Game Reserve. Early lunch at the camp, followed by departure transfer to Dar es Salaam. Drop off in the city centre.